This entry was posted in Irish literature and tagged Amongst Women, Booker Prize, Faber and Faber, Irish Times/Aer Lingus award, John McGahern by Simon Lavery. Bookmark the permalink. I am always suspicious of irish misery books, but this one transcended that! He is a marvellous writer. My favourite of his is That They May Face the Rising Sun. This sounds like a wonderful novel, Simon. Another in the pantheon of marvellous Irish novelists. I’ve not heard of him before. Having recently read my first Sebastian Barry, I shall certainly be looking out for this book. Sandra: I’d not read him before, but had read some good things about him. As others have commented, his short stories and other fiction also sound excellent. Sebastian Barry is also a writer I admire; you might know another fine modern Irish author, Anne Enright. I wrote about her novel The Green Road here not so long ago. I have a soft spot for such things, having Irish ancestry myself. I know of Anne Enright, Simon, but have yet to read anything by her. One day though 🙂 That would help to redress the balance: it seems to be the male Irish writers that have me enthralled at the moment. Barry, Toibin, David Park. I haven’t read that much by any of them but would dearly like to. They seem to share an economy of style. Rich, lyrical and sparse. And a deep insight into what it is to be human. 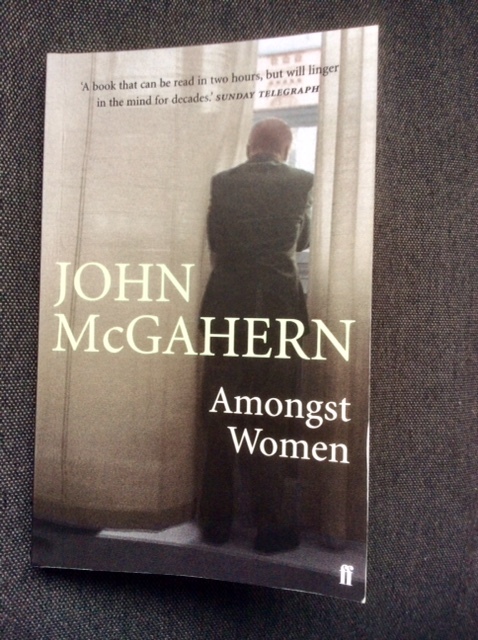 McGahern certainly has that in common with these slightly more contemporary Irish authors. There’s Edna O’Brien, of course, from an earlier generation – though she is still publishing; I acquired a copy of The Little Red Chairs the other day, though when I’ll get round to reading it is anyone’s guess. Colm Toibin is terrific; I saw him at a talk in London a couple of years ago, and he’s an inspiration: witty, intelligent, charming, and he writes brilliantly. Insights into our humanity is quite right; English writers seem insipid, many of them, in comparison.